Bob Hornik received his Bachelor of Arts degree, with honors, in Political Science from LeMoyne College in Syracuse, New York, and his law degree from The Washington & Lee University School of Law in Lexington, Virginia. Before becoming a principal in the Brough Law Firm, he engaged in the private practice of law in Syracuse, New York, representing local governments and real estate developers. Mr. Hornik’s practice emphasizes municipal law, zoning and land use law, litigation, and ordinance drafting. 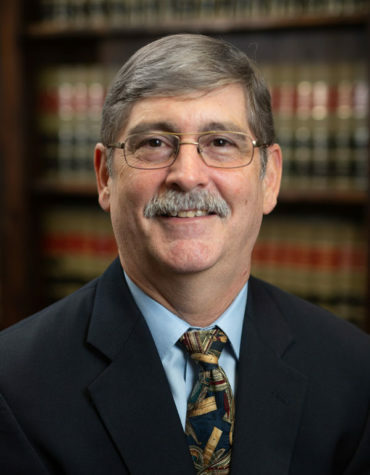 He serves as general counsel to the Towns of Hillsborough, Hoffman, Pinebluff, and Stem, and supports others in the firm in their capacities as counsel for the Firm’s other municipal clients. Mr. Hornik has represented and advised municipalities in New York and North Carolina on issues including local finance, employment, annexation, zoning, planning and environmental law, and private developers in administrative and judicial proceedings at the State and Federal levels. Mr. Hornik has extensive litigation experience in municipal, land use, and annexation matters in trial and appellate courts, including the North Carolina Supreme Court and the United States Supreme Court. He has also counseled clients in various commercial real estate transactions, including site acquisition, leasing and financing of multi-million-dollar commercial, retail and office ventures, and large scale residential subdivisions. Mr. Hornik’s practice has included representation of several regional and national wireless telecommunication providers in the site acquisition and permitting processes for wireless telecommunications facilities, including State and Federal court actions brought under the Telecommunications Act. Mr. Hornik is admitted to practice not only in in North Carolina and New York, but also in the federal courts in the Northern and Western Districts of New York, in the Eastern, Middle and Western Districts of North Carolina, in the United States Circuit Court for the Fourth Circuit, and in the United States Supreme Court. He is a member of the North Carolina, New York and American Bar Associations. Mr. Hornik is active in the North Carolina Bar Association’s Zoning, Planning, and Land Use Section, having served as a member of the Section’s first Section Council. He served two terms as Chairman of the Section’s Continuing Legal Education Committee, and has presented continuing legal education programs for municipal attorneys and newly admitted attorneys on numerous occasions.